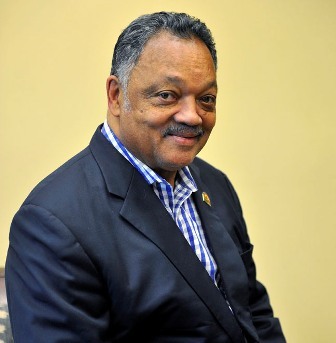 “We have to keep going,” said Reverend Jesse Jackson to all those anxious about the coming Donald Trump era in the United States. Jackson spoke to the Sentinel/L.A. Watts Times recently about the factors contributing to Trump’s victory and the strategies needed to navigate through the pending administration’s potentially harmful policies. “[Hillary Clinton] had a two and a half million vote margin victory,” Jackson told the Sentinel. “Yet, the loser won and the winner lost because of something called the electoral college, a group of overseers of the popular vote. If this were in South Africa or Mexico, or Britain or France and the loser had a two and a half million vote win and yet the loser won, it would be incomprehensible. Widespread voter suppression tactics were also a contributing factor, Jackson said. “They may come in the form of voter ID. They may come in the form of only one day to vote,” he explained. Trump he said, spent lots of time accusing Democrats of voter fraud but no evidence of fraud was ever found. However, there was plenty of evidence pointing to voter suppression tactics. These tactics chip away at the civil rights African Americans and other minorities fought so hard for in this country. “We got the right to vote in 1965 for the first time in 85 years,” said Jackson. “But we’ve been denied the protected right to vote. The crown jewel of [the African American] struggle is the protected right to vote. But in Florida, North Carolina, Wisconsin and Michigan [during this election] there was voter suppression. And, the first issue when it comes to that Jackson explained, is Trump’s potential pick for attorney general, Jeff Sessions. “The attorney general determines, voting, women’s rights, workers’ right to organize…,” Jackson said. Sessions, a four-term Alabama Republican has been described as a “hard-liner” on free trade and immigration, arguing that prospective immigrants don't have constitutional protections. He has opposed efforts to overhaul prison sentencing, back off the war on drugs and legalize marijuana. “We must protest vigorously against Jeff Sessions.,” he said. In addition to the AG issue, Jackson listed several other issues that will absolutely need to be addressed during the Trump administration’s term, in order to maintain a safe level of human rights in the United States. He mentioned things like changes in voting policies and procedures, gaining more access to media ownership for African Americans, more roundtables on urban policy and fighting to keep the Affordable Healthcare Act in place. “In the future we should have supervised Federal elections, not states’ rights,” Jackson said. “The second issue is telecommunications. We must have our share of media ownership. The third is healthcare. They plan to replace affordable health care without an alternative. If it’s repealed it must be replaced immediately. Twenty two million people now have affordable health care because of Obamacare. “Those persons losing their healthcare may never recover. People will die between the time when they kill it in January and the three years before it comes up again. They will have debt issues, etc. We should fight for affordable health care. “We need to fight to wipe out student loan debt and make education affordable and accessible again. We should demand an urban policy. We need a White House conference on urban policy to address the causes and cures of violence. We need to address things like the impact of poverty and plans to rebuild cities torn apart by homelessness. Jackson turned 75 earlier this year, and on December 17, he will be here in Los Angeles to continue the celebration at the Beverly Hilton hotel.